Summer is fast approaching in Kunming but the seasonal drought continues. This is the third successive year of extended winter drought and many of our mature trees are exhibiting symptoms of water stress. This creates a two-fold concern for horticultural staff. Firstly, there is a concern for the future of the trees, especially the venerable specimens that are inextricably linked to the history of our garden. Secondly, there is concern for public safety. Large trees, under drought conditions with a low sap wood reserve are prone to a phenomenon called “sudden branch drop”, where a seemingly healthy limb simply falls from the tree. This is a potential hazard to both staff and visitors. It appears that some species of tree have the ability to compartmentalize and isolate part of the canopy which ultimately results in the shedding of a limb, thereby reducing leaf area index with a consequential reduction in evapo-transpiration. Although the phenomenon is well documented, the precise mechanisms leading to branch failure are still not totally understood. However, there is adequate information available on susceptible genera and a basic understanding of tree bio-mechanics, particularly in relation to tension and compression wood, can assist the arboriculturist in making informed decisions leading to preventive tree surgery. This pro-active approach to tree risk assessment and hazard evaluation is critical for the safe management of trees in public spaces. 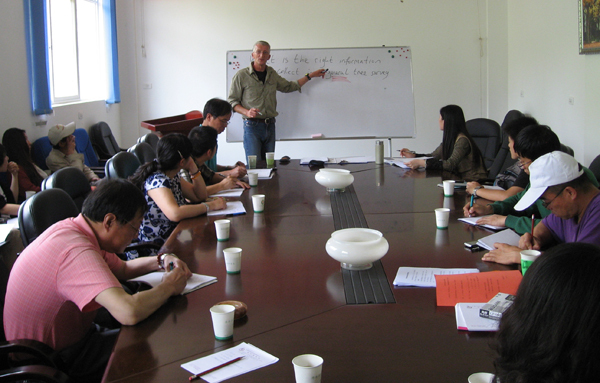 To ensure the highest level of safety for our visitors and staff, Kunming Botanical Garden has commenced a program of tree evaluation and this includes a series of training workshops. Each workshop will have tangible outcomes such as the production of tree survey schedules, risk assessment forms and action plans. 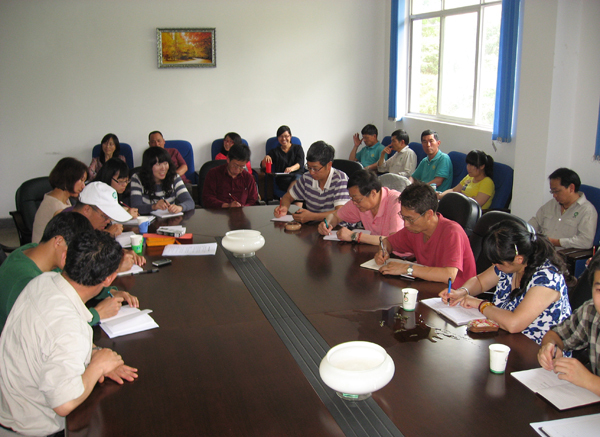 The workshops are coordinated by the Director of Horticulture with inputs from all senior garden staff. The first workshop was undertaken on Friday 11th May and subsequent training sessions are planned for the coming weeks.